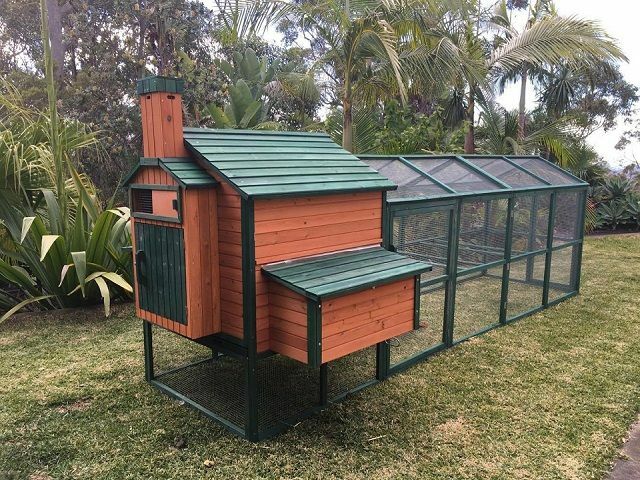 Somerzby have an exciting range of chicken coop models and sizes to meet the needs of you and your chickens and making sure you get the right size is essential. 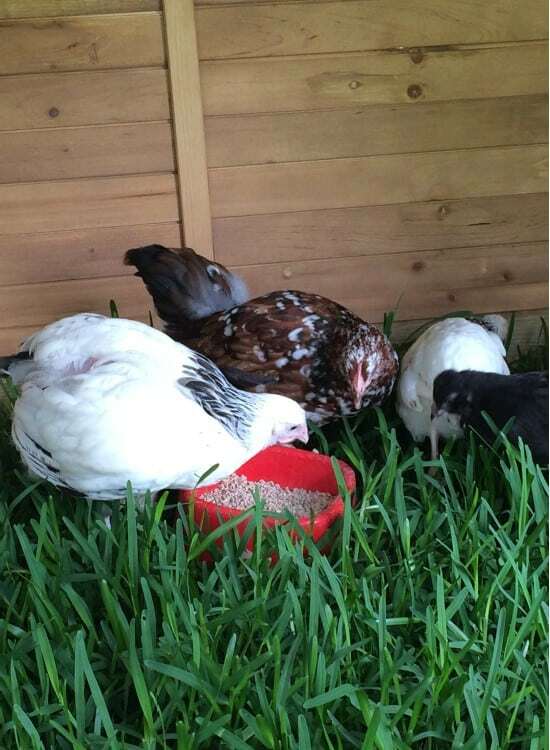 What Size Coop Do I Need For My Chickens? You have probably seen images of the over-crowded living conditions that many chickens suffer in commercial battery chicken farms. That is not the way to raise healthy backyard chickens. Chickens need a certain amount of space to develop as healthy normal chickens and restricting their living space can cause all sorts of health and social problems – a little bit like squeezing too many humans into too small a space. What Problems Does Overcrowding Cause? Chickens are social birds and like company but too many birds with not enough space increases the stress levels amongst your hens. Reduction in egg laying. Chickens need to be happy and healthy to be productive members of the chicken society. Pecking – we humans tend to get a bit snappish when our neighbours live on top of us and it’s the same with chickens. Although establishing the ‘pecking order’ is normal, excessive pecking can cause serious problems including loss of feathers and damage to skin, dominant chickens blocking access to feed and water, and even cannibalism. Disease – overcrowding encourages the development and spread of disease amongst your flock. It’s harder to keep the coop clean too if the chickens are all pooping in a small confined space. The handy chart below shows you the recommended Somerzby chicken coop for your chicken family. These numbers assume you are letting the chickens out during the day and just putting them away at night in the coop. If the chickens need to stay in the coop for extended periods you should choose a larger size. Coops that have a run extension allow you to keep the chickens in for longer periods. 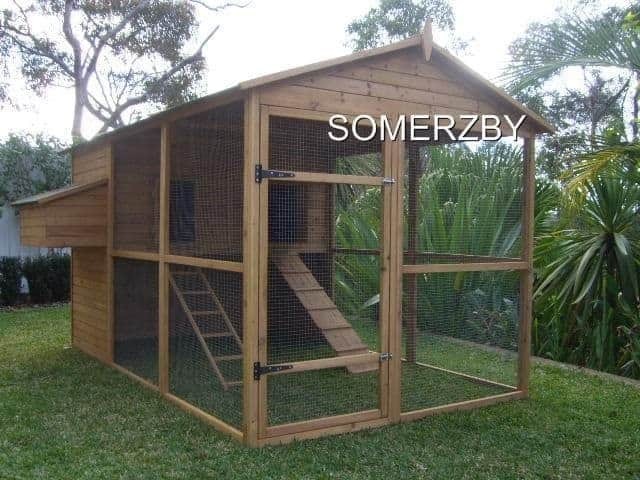 Somerzby – housing for chickens that don’t want to feel cooped up. Chicken Coops for 1 – 2 Hens? Chicken Coops for 3 – 4 Hens? 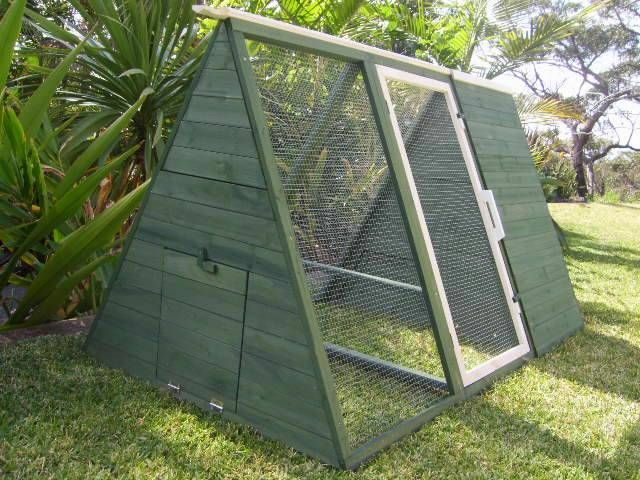 The Somerzby Bungalow is a great, easy clean hutch suitable for up to 3 Chickens. 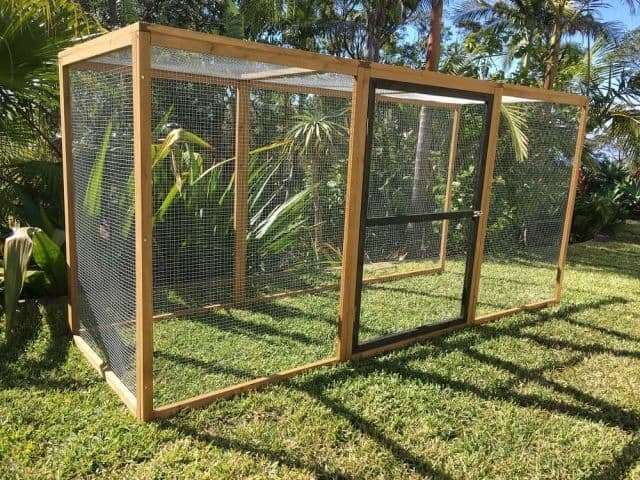 It uses a non-toxic stain and features mesh on window so you can be sure your Chooks are safe from rats and snakes. 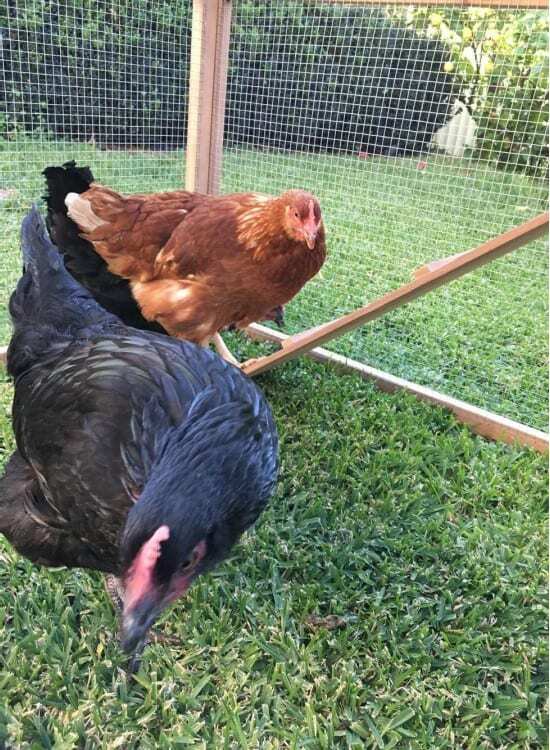 This tractor-style coop can house up to 3 chickens and is easily moved throughout your yard using the attached handle, which allows your chooks to access to fresh food and prevents overgrazing. Large front opening for easy access and cleaning. 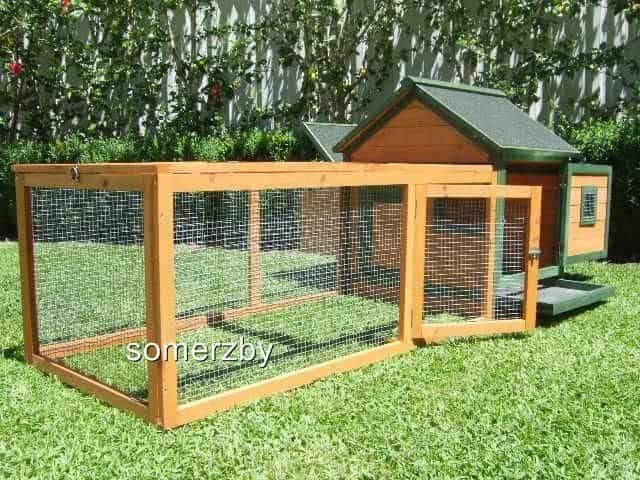 The Somerzby Chalet features Rodent and Snake proof mesh wire and a covered run area to protect your chickens from the elements. 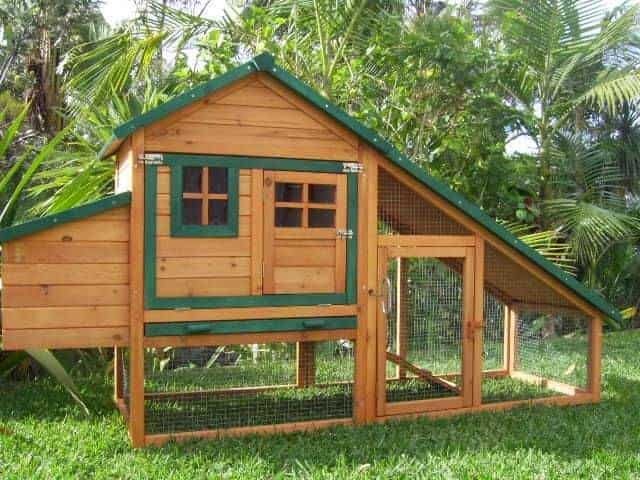 Chicken Coops for 5 – 6 Hens? 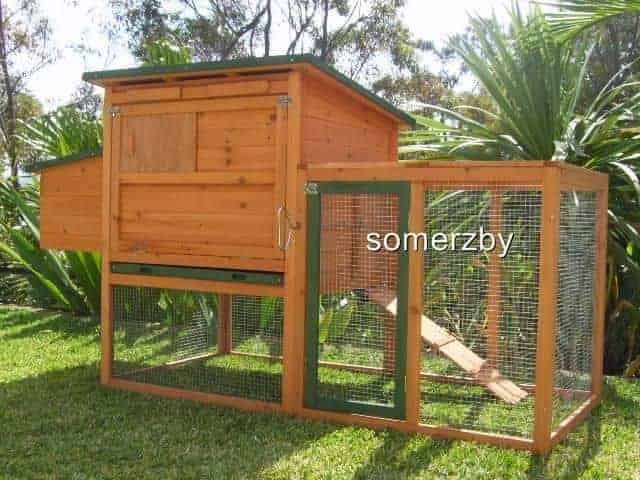 The Somerzby Mansion comes in 3 colour combinations and is suitable for up to 6 Chickens*.It is made of rot resistant fir wood and uses a non toxic stain which is safe for your chickens. The entire side opens and metal tray slides out for easy cleaning. 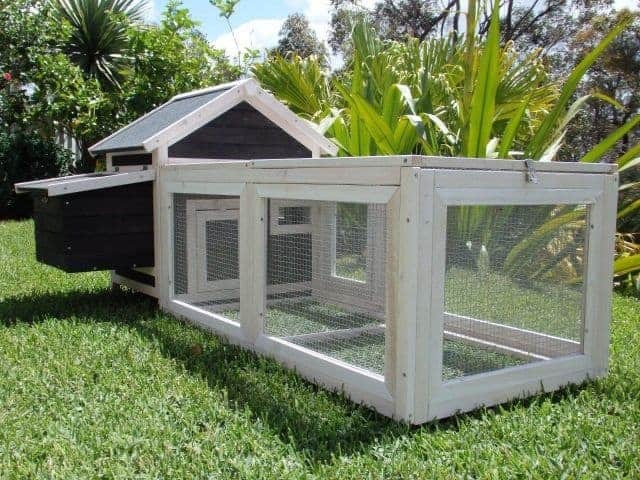 The Super Deluxe Mansion Large Chicken Coop is easy to clean with it’s complete front opening door and galvanised metal pull-out-tray. It’s design also provides easy access to your chickens and their nesting box. 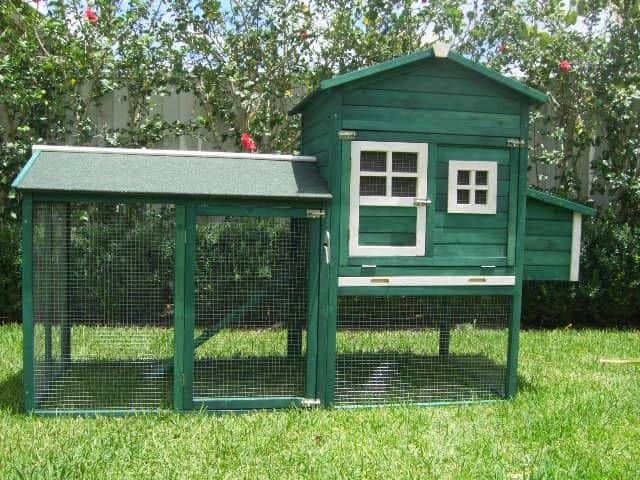 Chicken Coops for 6 – 8 Hens? 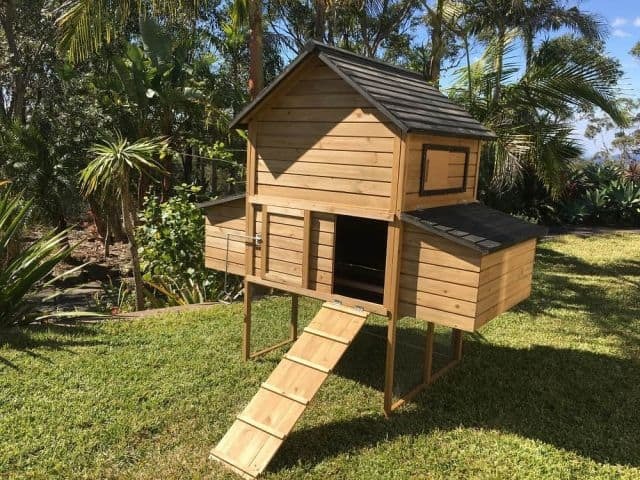 Chicken Coops for 9 – 12 Hens? The Somerzby Cabana Hen House Run is our brand new improved design, free standing chicken coop run featuring our stylish charcoal trim. 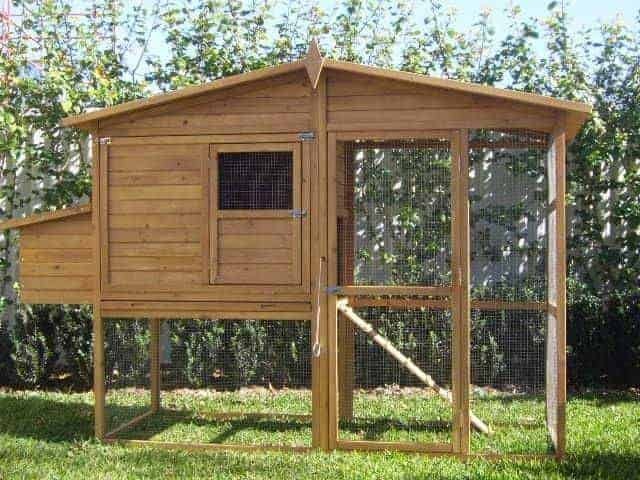 The Cabana Hen House Run is a large spacious interior with a 2.7 metre long run. 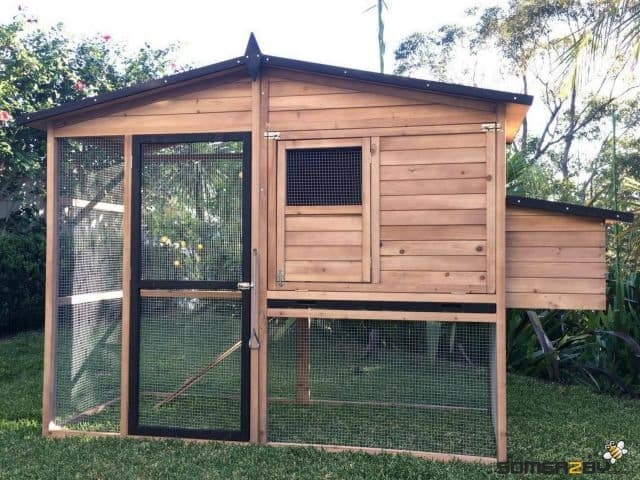 The Somerzby Cabana Hen House is a Free Standing Chicken Coop that features 6 Nesting spaces and a Stylish New Charcoal Trim. Easy to Access to the Coop allows for easy cleaning and access to your Chickens. The Somerzby Cabana Hen House is our brand new improved design, free standing chicken coop featuring our stylish charcoal trim. Easy to Assemble and Keep Clean. The Homestead features easy clean and access with a new walk-in design and complete opening door. Galvanised mesh wire protects your chickens from Pests and Vermin. The Somerzby Resort is our new design chicken coop. Suitable for 12 + chickens (it can take up to 14 chickens depending on size). It’s the ultimate in pet security and has been designed to keep your pets safe and secure whilst keeping the predators out. How Do Chickens Benefit From Having Enough Space? When chickens have the space they need they feel less stress and more tolerant towards each other. There tends to be less competition for food and a reduction in the overall levels of aggression in the flock. In short, give your chickens the space they need and they’ll be healthier and happier and will tend to lay more eggs. In simple terms, the more space your chickens have to roam and do normal chicken things the better. 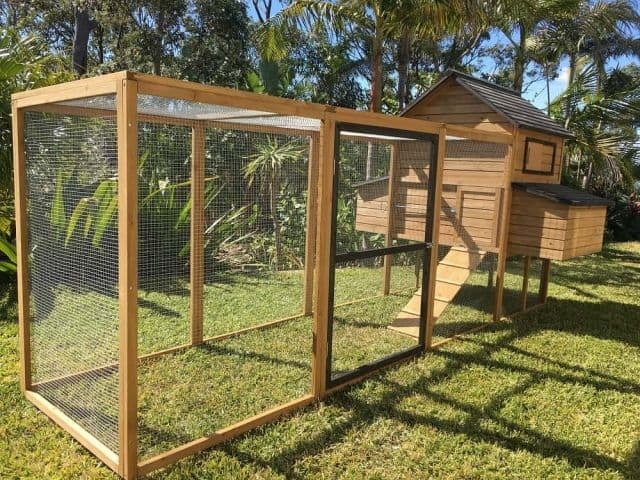 However, chicken coops must comply with Council regulations and are generally limited to no higher than 3m or larger than 152 m in most Australian residential areas. There are two things to think about when choosing a chicken coop. The amount of space in the coop, perch, and nesting areas relative to the number of chickens you want to keep. The amount of time each day your chickens will be able to roam outside or in a larger run. So, how much coop space do you need for each chicken? Chickens tend to roost close together to keep warm but overcrowding will lead to some very unhappy and unhealthy chooks. The general consensus of most chicken experts is that you need around 1.2metres per chicken in the coop/run area. 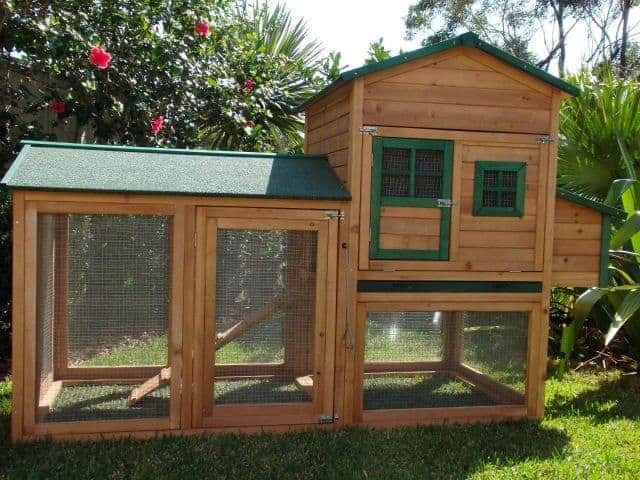 This is assuming your chickens will get some time and space to roam a little more freely during each day. Your lovely little ladies also need attractive nesting boxes to lay their eggs. 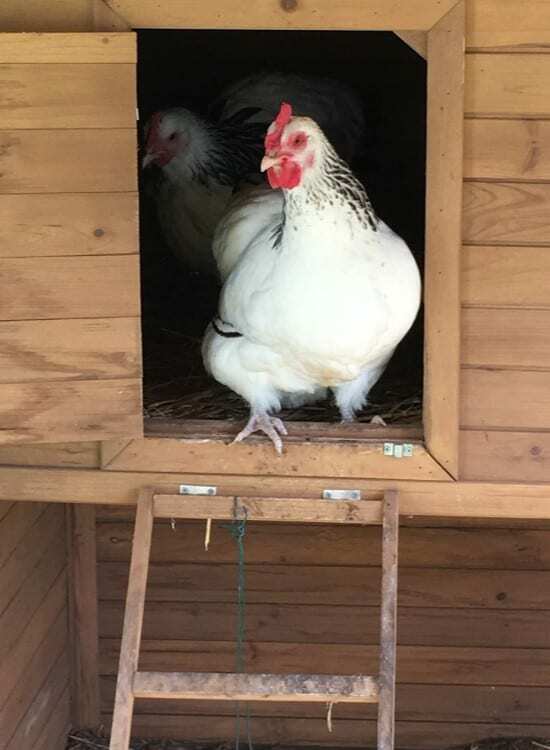 The RSPCA recommends that nesting boxes should be around 300mm square to cater for four to five hens but you may find that some hens require their own individual nesting boxes. Nesting boxes only need to give your girls enough room to turn around, rearrange the bedding and get comfortable. The nesting box should be about 600mm off the ground with access to the outside for ease of egg collection and nest box cleaning. What About Space For Perching? Hens love sitting on their favourite perch and the RSPCA suggests a minimum of about 200mm for each bird. Ideally, perches should be placed about 500mm above the ground.